It's official. Festival season is with us. 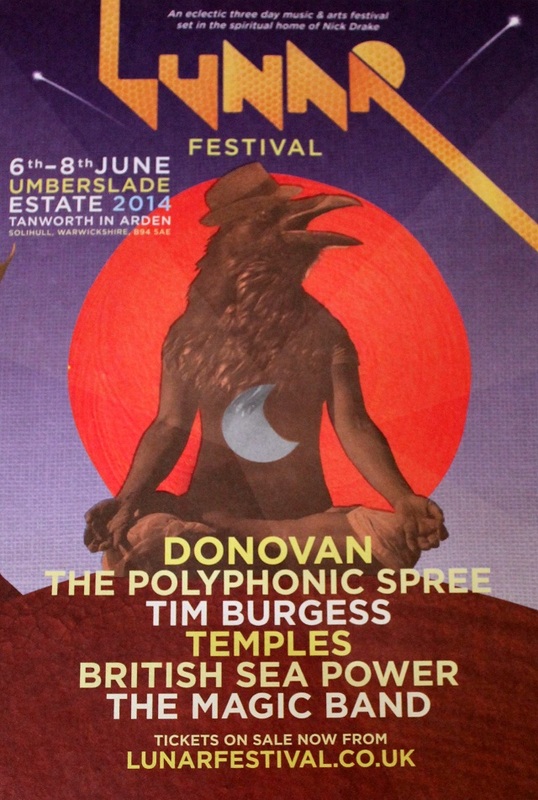 On Sunday we're hopping over to Warwickshire for some festival fun at Lunar. It'll be just me and hubby so it's kind of... eek... a date too. I'm so looking forward to some time out and filling our souls with good music and creative vibes. I shall be reporting back here and on Instagram too. Thanks CJ. Hoping for a drier day than today. It's been very wet with thunderstorms here. Got my wellies ready! I was there too and do you know what, I'm sure I saw you! Wasn't it fab. Were you there last night to watch the Polyphonic Spree?